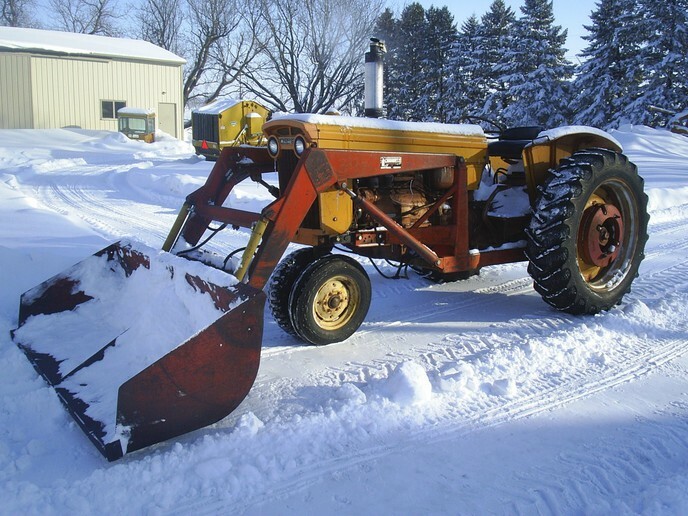 Any of you use a moline for moving snow? 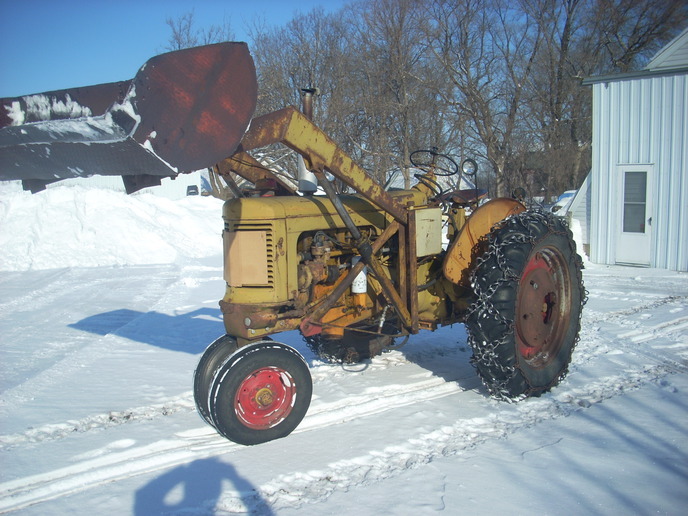 This is a 1950 RTI with lull loader. Here's mine. 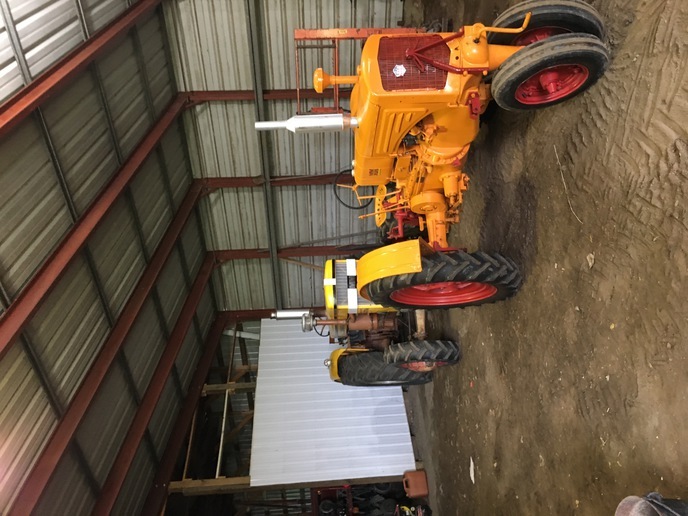 1953 UB with Freeman loader. This picture was taken several years ago, but it hasn't really changed any. 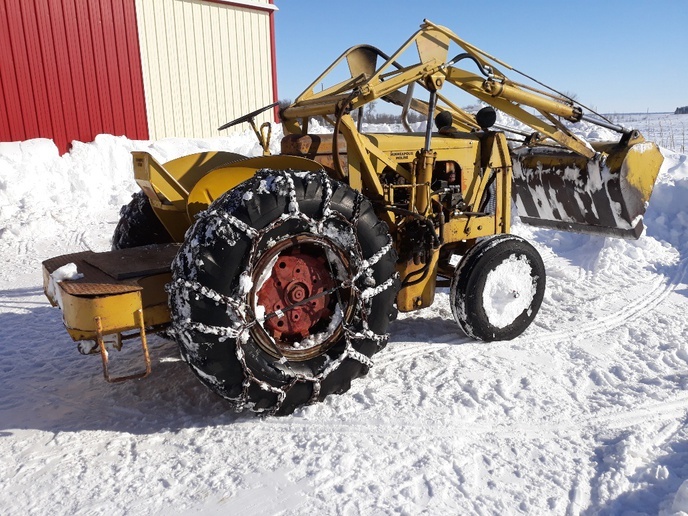 It's been getting a workout this winter. It pulled a truck out of a snowbank at my brother's yesterday. Unfortunately mine are shop queens. Same tractor, taken this morning. As mentioned, not too much has changed. Still as reliable as ever! Hi Brian, Hope things are well. Been using the M5 and Schwartz loader. Running out of places to put snow. Done for another day. I wish I had a wider bucket on mine. This is only 4 feet wide. 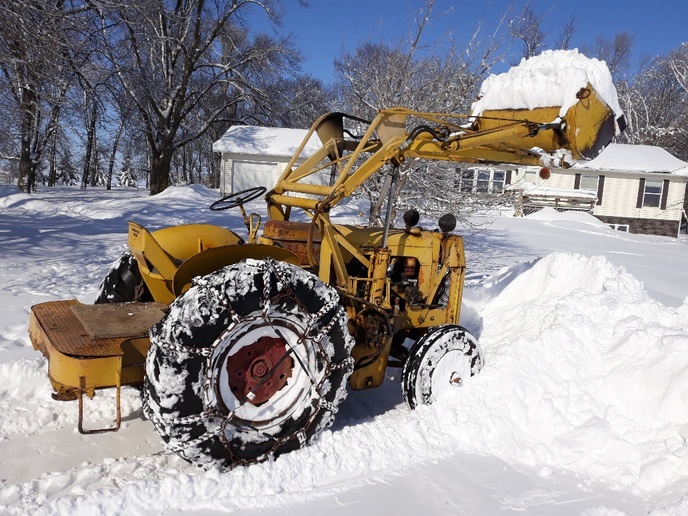 I wish it was 5-6 feet wide so it would make a path for the tractor in snow. I have a wider bucket in the grove on some loader I acquired . I wonder if I could mount that on this. It lifts a full bucket of snow now. 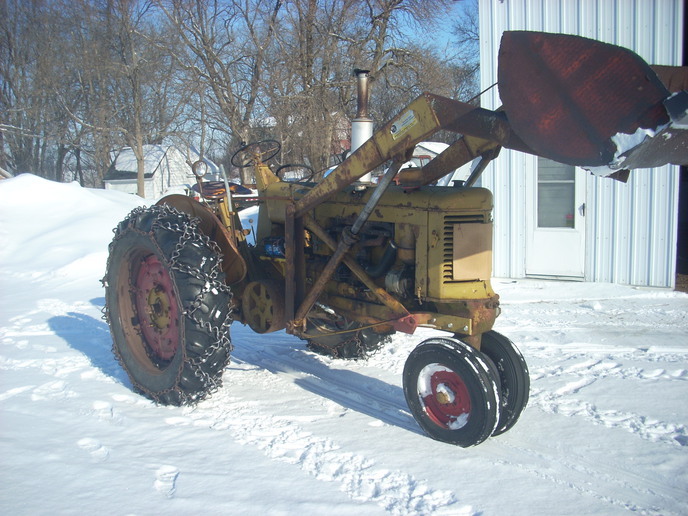 I have only had this tractor for 5 years or so, this is the first winter it has had a real workout. Handy,previous owner stalled power steering, finger tip steering and chains, I can get most anywhere. Last fall I got a 445. 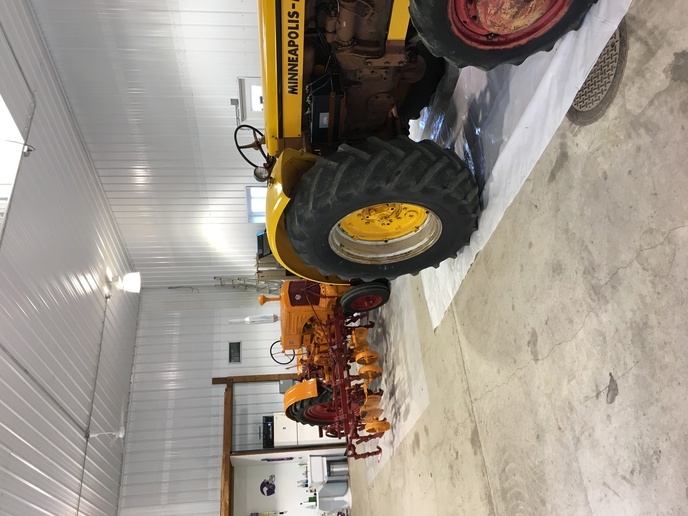 Just got it running this winter. It came with a loader. 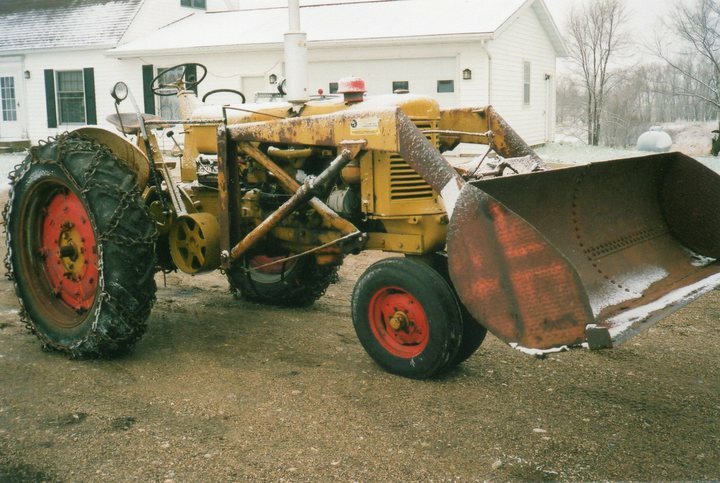 I plan to use it a little this summer and if I like the way it acts I may put that one into service next winter. It has power steering also, which the UB does not. Going to be hard to beat the UB otherwise though.